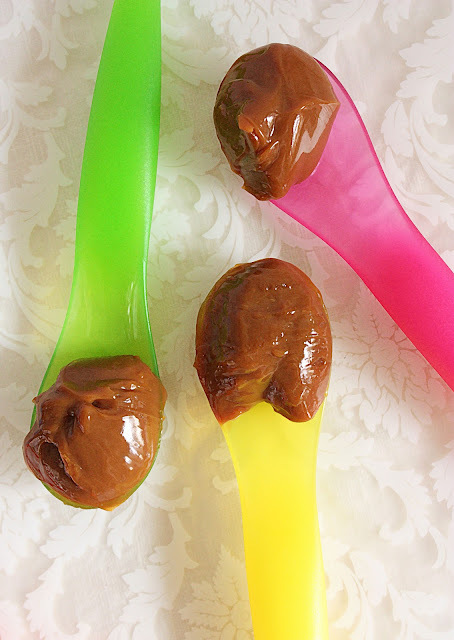 Despite the success of my dulce de leche I have never considered cosy-ing down into a couch to shovel dollops of dulce de leche from a jar into my face. HO no. The completion of the dulce de leche was no more than a stage in a journey that I had begun when I swiped that can of condensed milk off the shelf. So you might think I've had sleepless nights thinking "waht do hi do? waht do hi do?". Ahh ~ truth is ...Hi had known what Hi was to do. HO yes. Hi had plans. 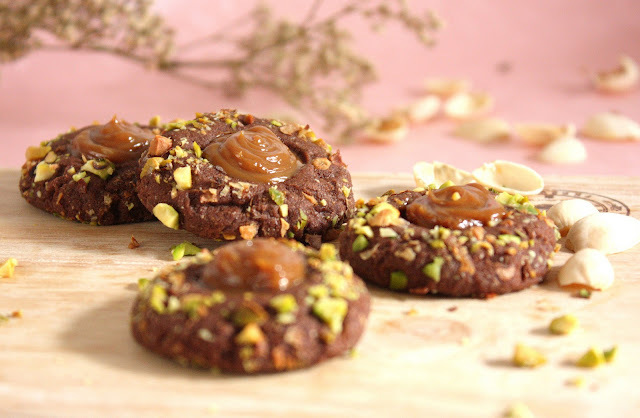 This is plan number one : Chocolate Shortbread Thumbprint Dulce De Leche Cookies with a Pistachio Filigree. Long Cool no? The Chocolate Shortbread recipe came from Oven Haven. A beautiful blog. She on the other hand got it from Nostalgia. It's rich, it's chocolatey and it's short. 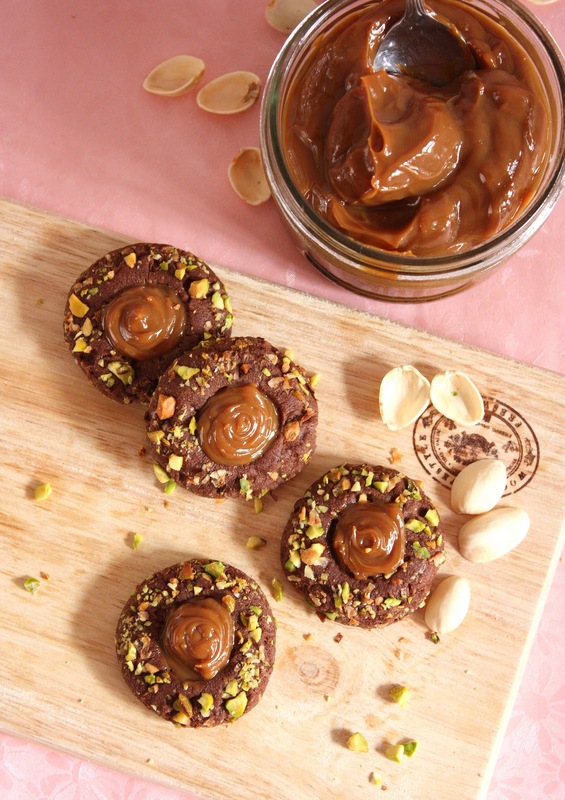 Add your thumbprint, roll in crumbled pistachios and flourish with a dollop of dulce de leche. Wooooo...what a twist! Cream butter in an electric mixer until creamy. Add icing sugar and beat until light and creamy. Add vanilla. On low speed add flour and cocoa powder 1/2 cup at a time and mix until the dough comes together. You might want to take it off the machine and finish the mixing with your hands. 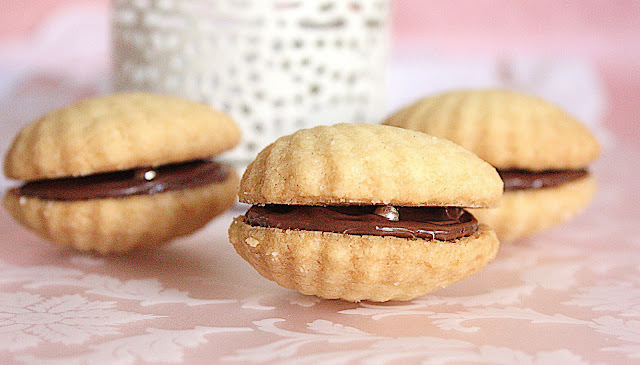 Bake for 20 to 25 minutes of less according to the size of your cookies. I baked mine for about 15 minutes. Take them out of the oven and using the end of a wooden spoon press down into the depression again because the depression would have puffed up a little while baking. But don't worry. Just push it down again with the back of the wooden spoon. 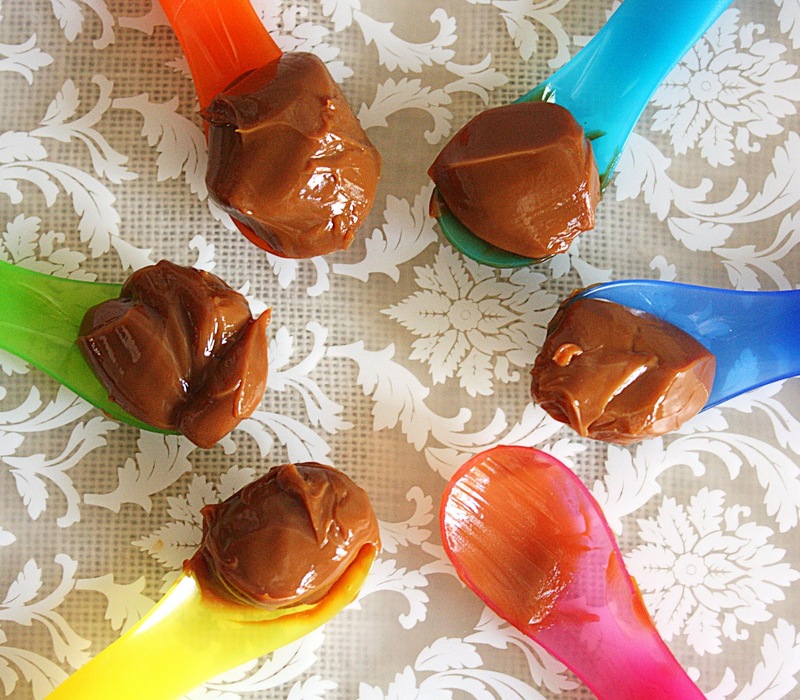 Let cool completely and then fill with dulce de leche just before ( or a few hours) before serving. But wait!.....the thrill isn't quite over yet. Ho no. But they're great for any kind of jam filled cookies. I have a collection of these presses and I thought you should have one too. Wherever you are you're welcome. I'll be in a very good mood for a week until Saturday 3rd of July. So leave a comment and I'll announce the lucky winner on Sunday 4th of July 2010. 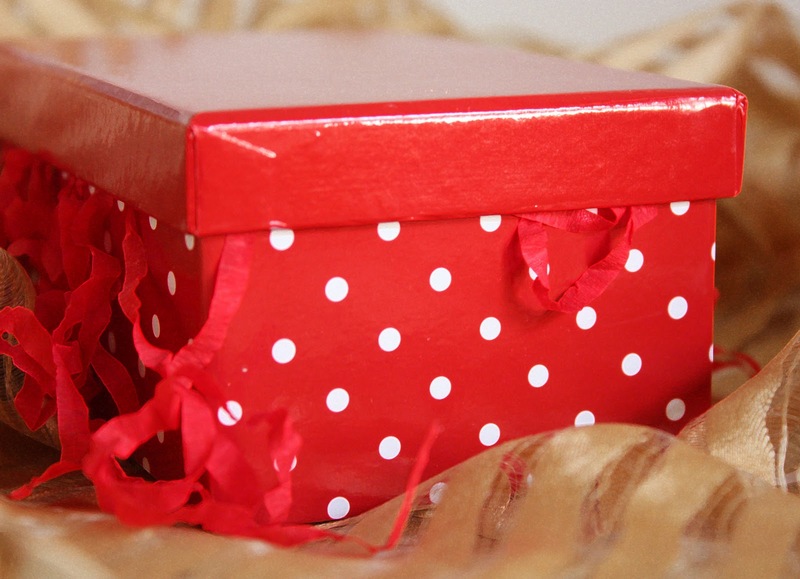 The tart presses will arrive at your door in that little red box. Isn't that fun? The only thing that contained my impatience was fear. The fear of being scarred for life and of the kitchen turning into a battleground. So I had to let the can sit like a little tin queen while I threw sidelong glances its way each time I crossed the threshold into the kitchen. Then it was payback time. I opened it and all that waiting had returned to me a deep, glorious, golden dollop named Dulce le leche (DOOL-seh deh LEH-chey). I called her name and she came. 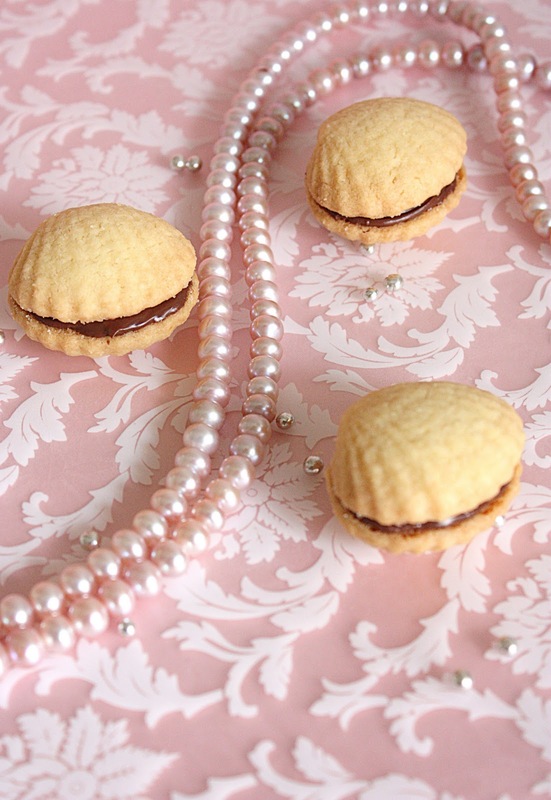 I must have looked surprised because Dulce le leche was divine and regal. I would never have guessed that she had once been a simple little milkmaid. A 'Milkmaid Condensed Milk'. This is all thanks to Quinn of Quinn's Baking Diary. 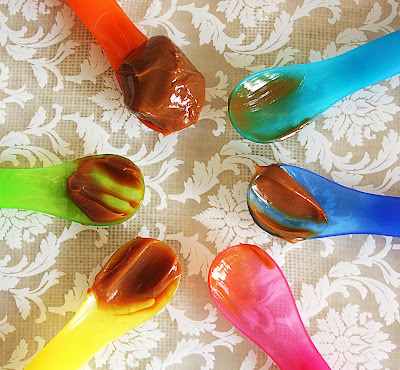 The young Quinn who bakes like a pro ( you must see her lovely blog) and who made dulce de leche here. I had met sweet Quinn briefly when she returned home for the Chinese New Year holidays earlier this year. 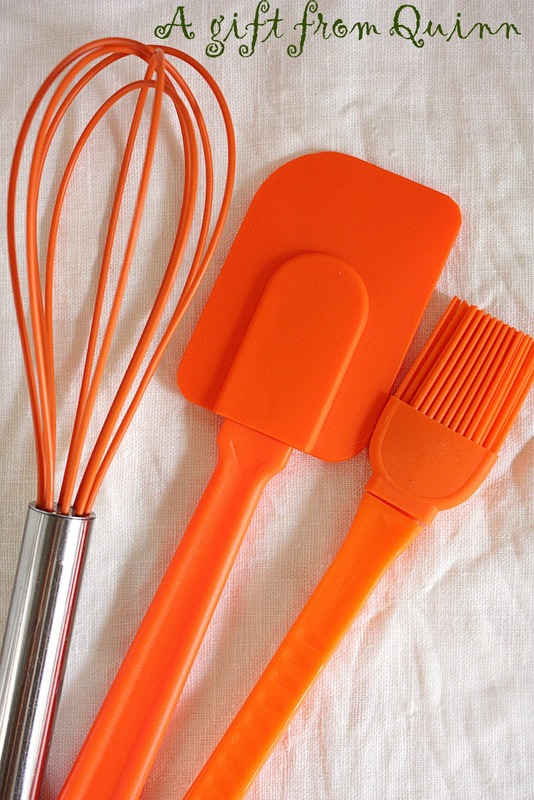 She had given me a set of these bright and cheery pumpkin coloured baking accessories. Exactly what I needed. 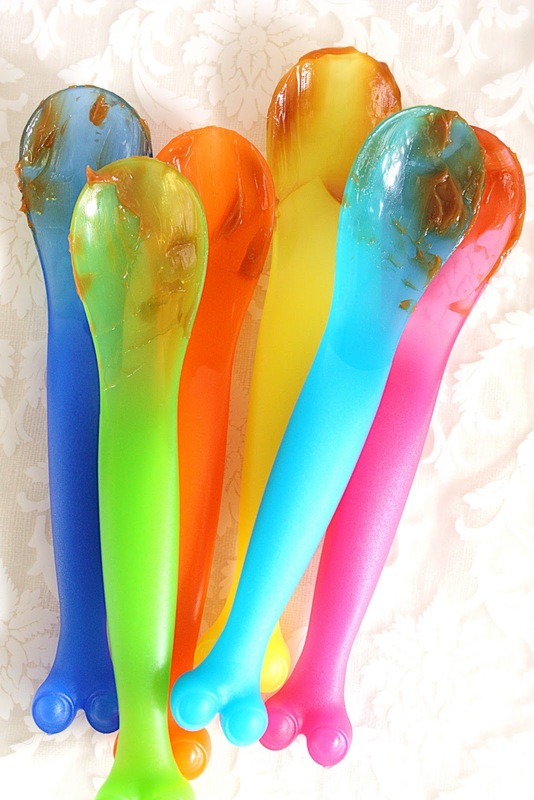 I have plans for these line dancing dulce de leche. Oh yes I do. 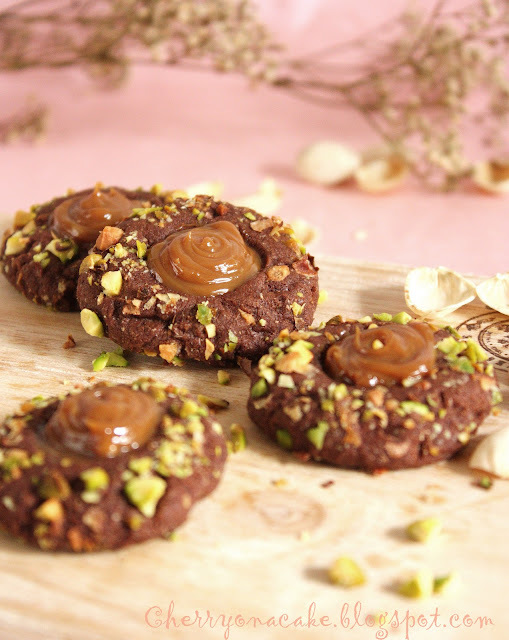 And while you're here go for the Chocolate Shortbread Thumbprint cookies with Dulce De Leche AND a GIVEAWAY!! Place the de-labelled can of condensed milk into the pot. Fill it up with water until the can is submerged with about 2 inches of water over the top of the can. Bring to a boil and then lower to a simmer. Cover pot with a lid and wait. For at least 2 to 3 hours. Or more, like I did. I left mine on a very small simmer for about 4.5 hours. Or was it five? Once done I left can in the pot for 30 minutes and then placed the whole pot under running water in the sink. When the can is cool enough to handle lift it out and let it stand. NEVER OPEN THE CAN AT THIS STAGE. IT WILL EXPLODE. Let it stand overnight. Temper your tastebuds to the glory of dulce de leche the next morning. Note: Thanks to Wendy of Table for 2 or more I realize that what I used was in fact Condensed Filled Milk (but not sweetened creamer) which is different from pure Condensed Milk. Condensed Filled Milk contains part palm oil. But hey! I'm not complaining. I got perfect dool-sey deh leh-chey, no? Sometimes miracles do happen :). So, my fellow Malaysians, no excuse not to make dool-sey deh leh-chey anymore, yes? I suppose when one has sucked, slurped and savoured a piping hot Char Kuay Teow from a road side stall no other noodle dish can ever quite make it into your book of heavenly noodles. I made Pad Thai today. I used rice vermicelli instead of flat rice noodles because I wasn't feeling animated enough to make home made flat rice noodles (I never use commercially made ones). All in all the Pad Thai was good. This is my second attempt at Pad Thai because I thought I did not quite get it right the first time. 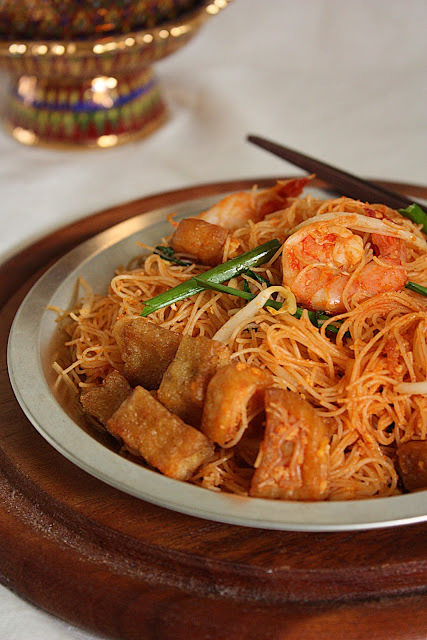 What made it different from other local fried noodles is the fact that it had the slight sourness of tamarind to it. I had also added extra chillie powder to the tamarind/fish sauce sauce because I like it hot. This was a noodle dish that did not blow me away but it was not bad. It was good. I'll give it a 7. 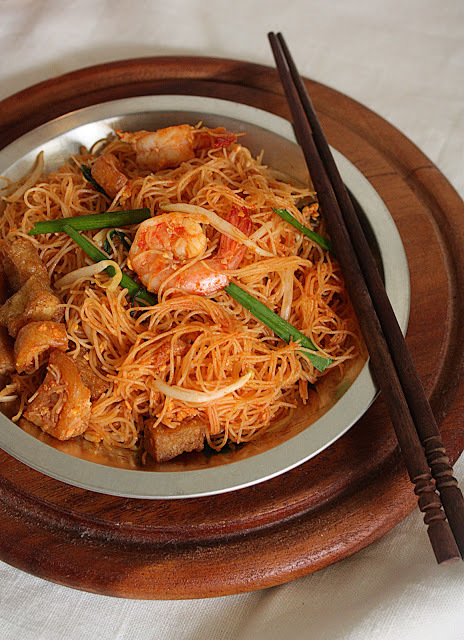 I'll give Char Kuay Teow a 12 ~ no matter which competent person fries it. 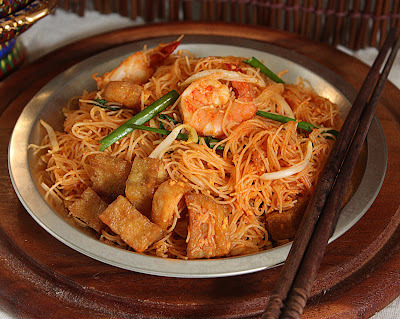 Pad Thai lovers please don't hit me. But you know, maybe it's just me. Maybe I'm just a hopeless Pad Thai maker. 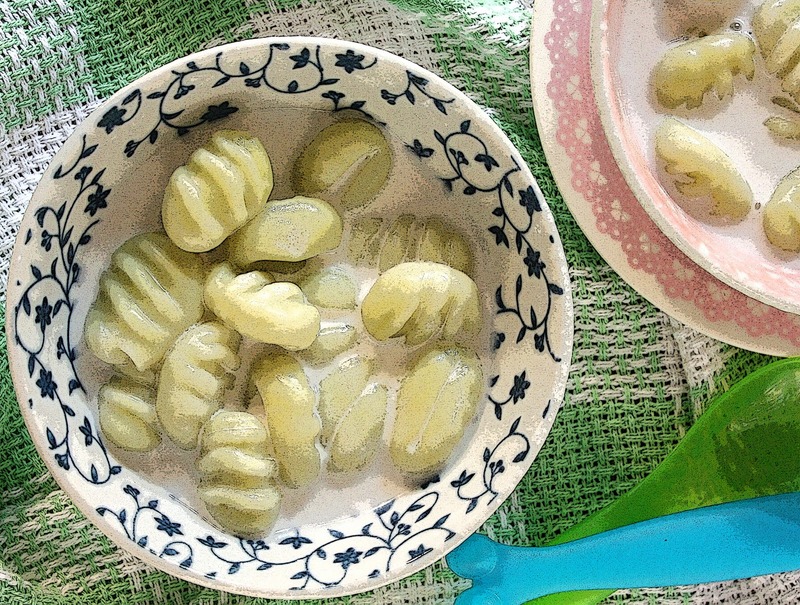 So go ahead and try this recipe from Chez Pim and hit tell me about it. 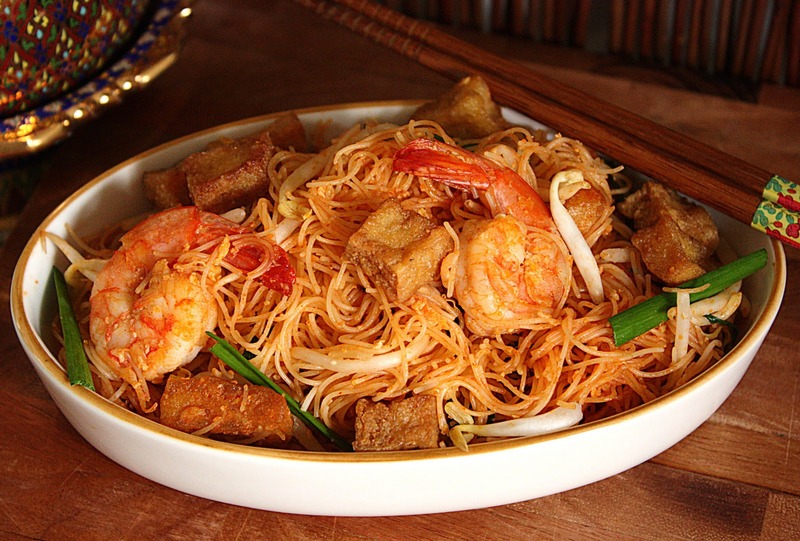 I spied Chez Pim's Pad Thai on Ju's lovely blog here and ever since I saw her absolutely gorgeous Pad Thai my left hand has been smacking my right hand into making it. Finally it has. One bookmarked recipe down and 3 million to go. You'll find the recipe here on the lovely Chez Pim's blog. There is a first time for everything. 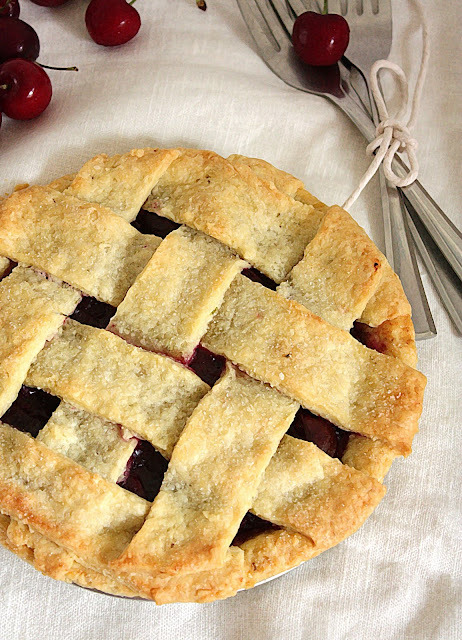 A first time for mistakenly attending a wedding reception of complete strangers on a sweltering afternoon and a first time for making a pretty cherry pie. The one gets you feeling hot, sweaty and silly while the other one gets you feeling warm, fuzzy and cheery. I did both this day Sunday. I don't have to tell you which was the better one. I've had a few questions on how I attended the wrong wedding reception. Well folks, my husband had misread the date of the invitation. (Next time I'll read the invitations). So we went on the wrong day but at the correct place. I got all dressed up just so I could sweat in my nice fancy clothes. Unnecessarily. At the least we provided plenty of amusement for our boys...ho ho ho. Cherries are so expensive at 56 ringgit per kilo. 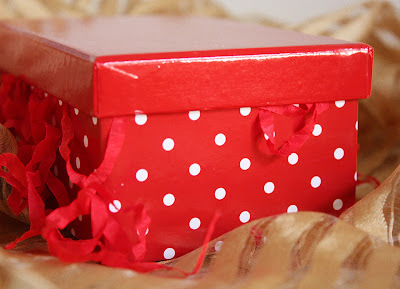 I had bought a box which was 250 grams at 13.99 ringgit. So I had some adjusting to do for the filling when I decided to do Shirley's of Kokken69 cherry pie recipe from her lovely blog. But it was a perfect amount for the size I made.Which was a sweet 6 inch pie. The crust however I had followed largely and it turned out light and flaky just as Shirley had described. Lovely. The filling recipe to which I had made some adjustments because I like a pie fruit filling a little soft and juicy as opposed to somewhat raw. So I cooked it. Bring all the ingredients together in a small pan or pot. Make sure the cornflour is dissolved. Stir constantly. 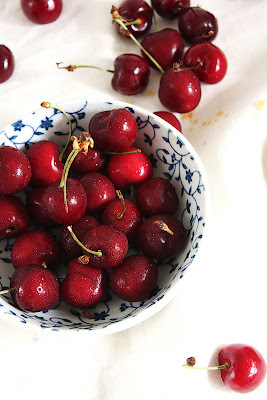 Bring to a simmer and allow to simmer until the syrup is thick, the cherries a little soft and and the whole looks juicy ans syrupy. It doesn't take long at all. Just 6-7 minutes or less. Adjust for sweetness. I had put too little sugar and I found it to be not sweet enough. Sift flour into a medium bowl. Add the salt and mix well. Grate the butter into the bowl. Just use your fingers lightly to mix the butter and flour up evenly. I did not crumble the mixture until it became fine breadcrumbs because I wanted the pastry to be more flaky. Add iced water and stir the mixture and then using your fingers bring the dough together into a firm ball. Do not knead so that the butter does not melt and the gluten is not worked up. Too much kneading will make a tough pastry. Once the pastry comes together, chill it if necessary and then roll out in between 2 pieces of baking paper to 1/8 inch thick. Cut a round slightly larger than the pie pan and then lift the pastry and line the pan. Cut the edges to neaten. 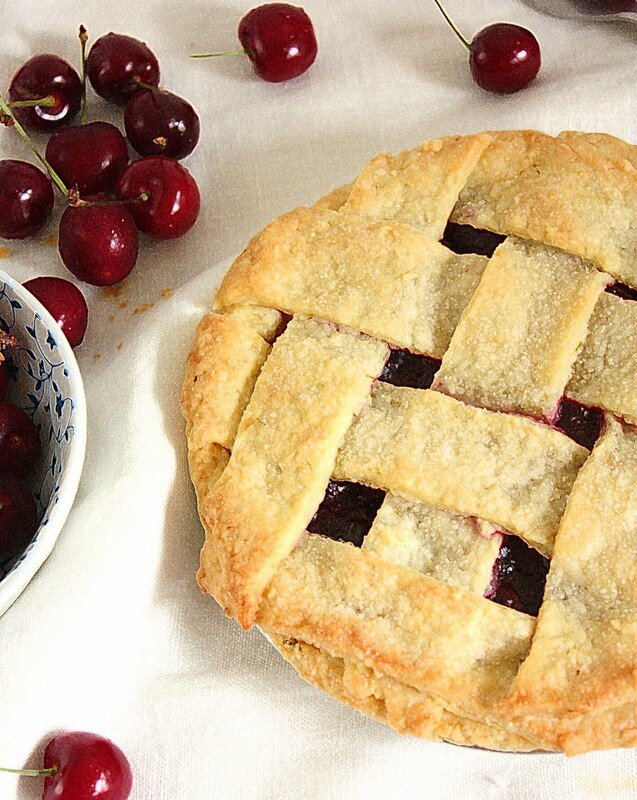 At this point I beat an egg and brushed the pastry with egg just so that it will not get sogged (I invent my own words just in case you haven't noticed or if you're new to this blog) by the cherry pie filling. 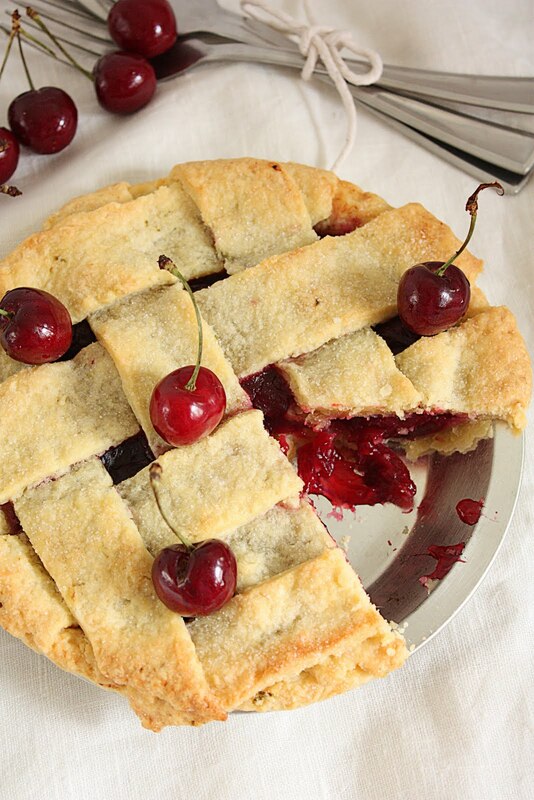 Top with the cherry filling and refrigerate while you prepare the top crust. Gather up the pieces of dough into a ball, roll out to 1/8 inch thick and cut strips as I did or thinner if you like. Lay the strips over the filling as you like, latticed or not, press the edges to seal, neaten the edges by running a knife around the edge of the pan and then sprinkle granulated sugar over the top. 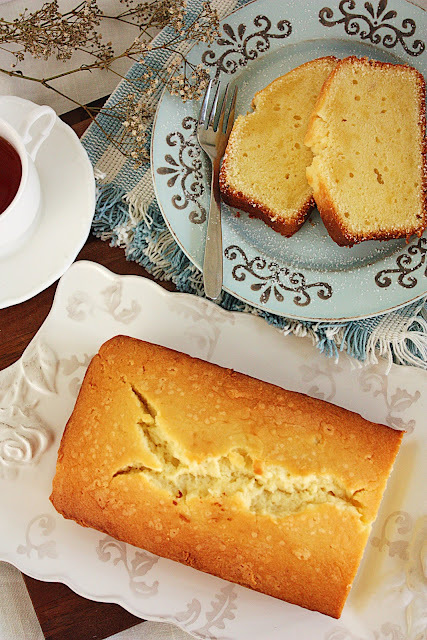 Bake 30- 35 minutes at 170 C.
Afternoon tea is history. It went out of fashion some 30 odd years ago. What a pity because that is, to me, the most fun meal. It is a dessert meal or a snack meal. It was a sit down meal. It was either cakes, fritters or simple fried noodles. Nowadays it's packaged biscuits ~ Khong Guan cream crackers, Marie Biscuits ~ all dunked in hot milk tea or Milo or commercial buns from the nearest bakery eaten 'on the go'.. No one has the time to sit down as a family to enjoy afternoon tea anymore. No family is smiling and conversing at 4 o'clock anymore. I doubt my children have any idea that afternoon tea was an actual sit down family meal. Yes I'm guilty of it's extinction too. But I'm not alone. Tuition got in the way. Traffic got in the way. Malls got in the way. Businesses got in the way. TV got in the way. Why, afternoon tea got in the way of the British too. Life had to go on. And so it did. 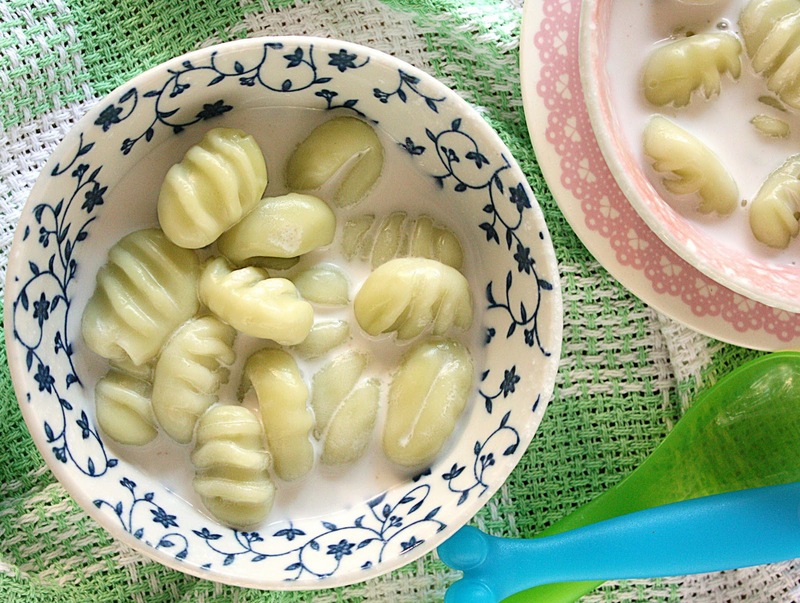 It's no wonder that our tea time kuih(s) have become an all day long snack food. Tea time has disappeared. But not the hunger for the various kuih though. Besides, men get up to feed at midnight. 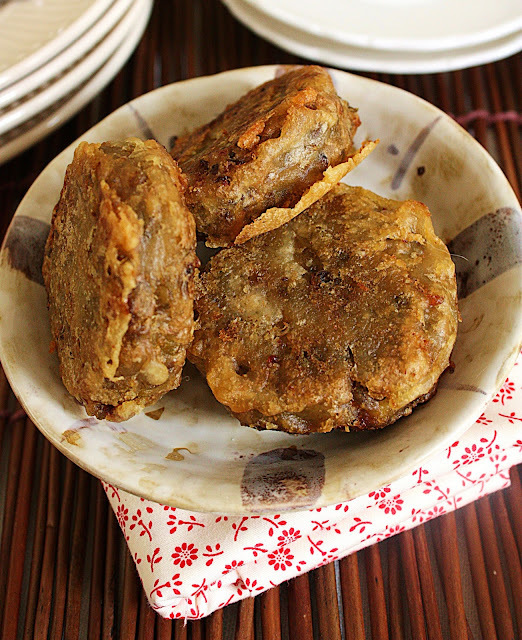 Old fashioned mung bean fritters fill that new hunger. I don't recall my dad or brother being up at midnight hunting for food. But of course World Cup Football was never shown Live either. 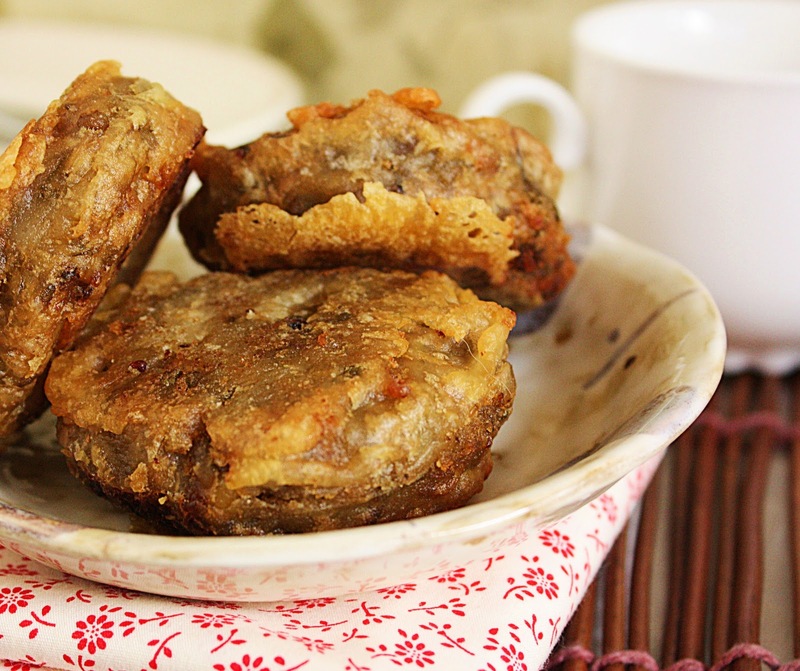 These bean fritters are one of H's favourite kuih. They are delicious warm. When the boiled beans have cooled down completely transfer to a medium bowl and add sugar, flour and a pinch of salt. Adjust for sweetness if you like it sweeter. Mix thoroughly until it becomes pasty and then shape into patties about 2 inches in diameter. Mix all dry ingredients together. Add cold water slowly and stop until you have achieved a nice coating batter. Heat up a pot of oil until hot. 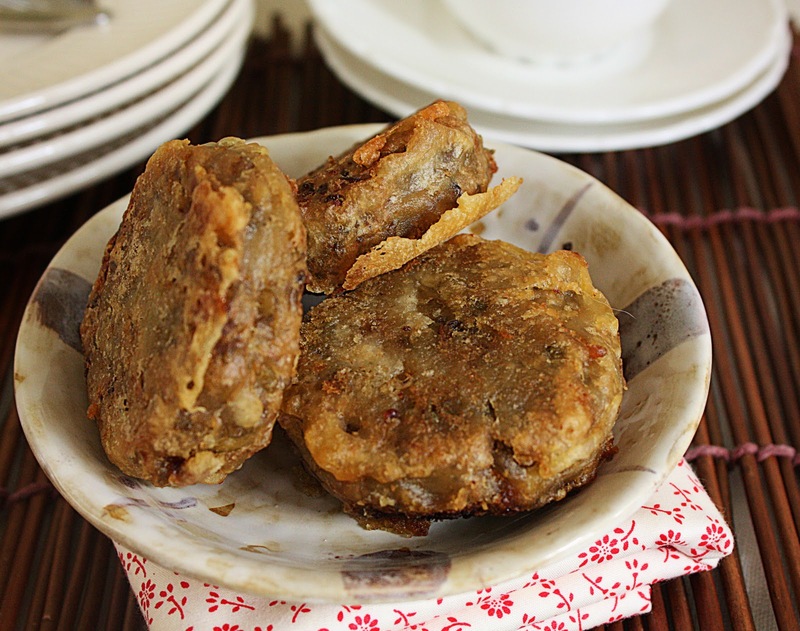 Dip the bean patties in the batter one by one and fry until a light golden brown and crispy. Serve warm or at room temperature. Enjoy. * It's important that the cooked beans cool down completely so that when the sugar is added it will not melt and make the bean mixture too soft and sticky to handle. Some recipes call for grated coconut instead of flour to firm up the mixture enough to handle and to taste. I didn't have any. That's basically how it went. Allow me to elaborate. 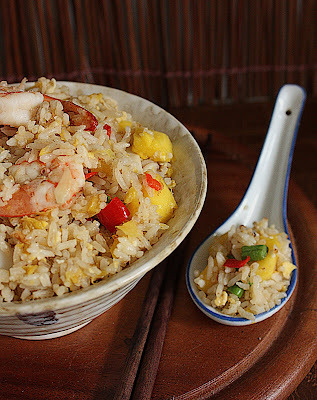 R and I had freshly cooked pineapple fried rice while N and Z had last night's left overs. I was not being a mean mom. N and Z do not like pineapple. R and I like pineapple. And the left overs were yummy too. Juicy bits of sweet pineapple. Serve steaming hot. Cook only 2 servings at a time if deliciousness is what you're after. 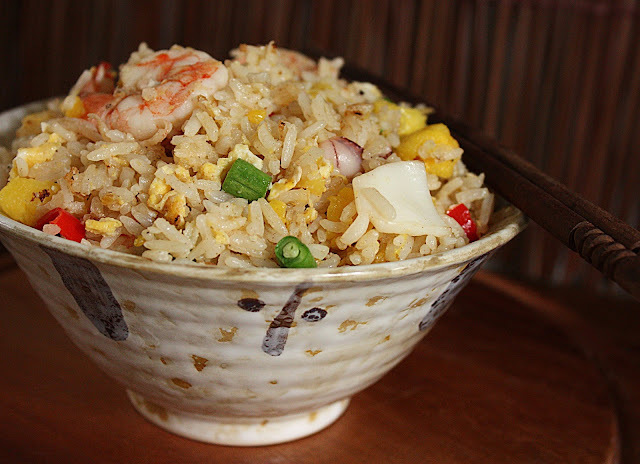 You might like to know that I have never had issues using freshly cooked rice when frying rice. I prefer freshly cooked rice because the rice is hot, moist and fluffy and so easy to fry with. You have, after all, the oil to keep the grains seperate yet not dry. 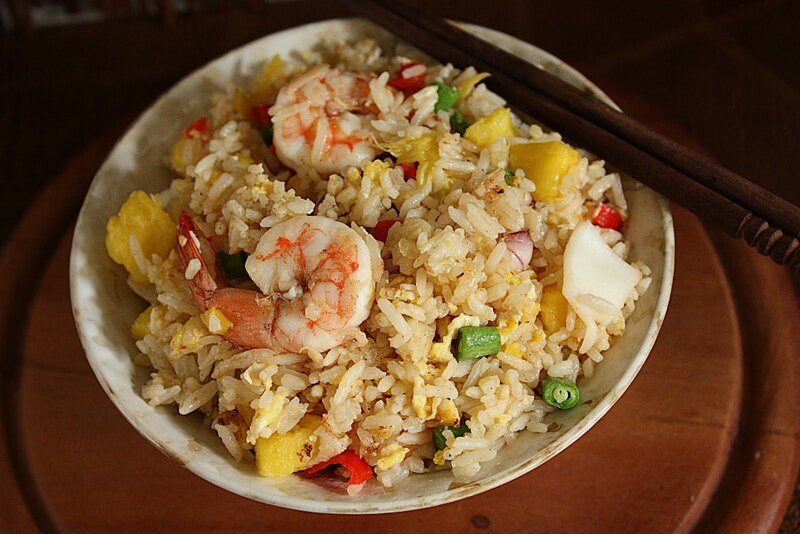 Perfect fried rice every time. True. Drowned in oil and fiery. The whole fireworks. 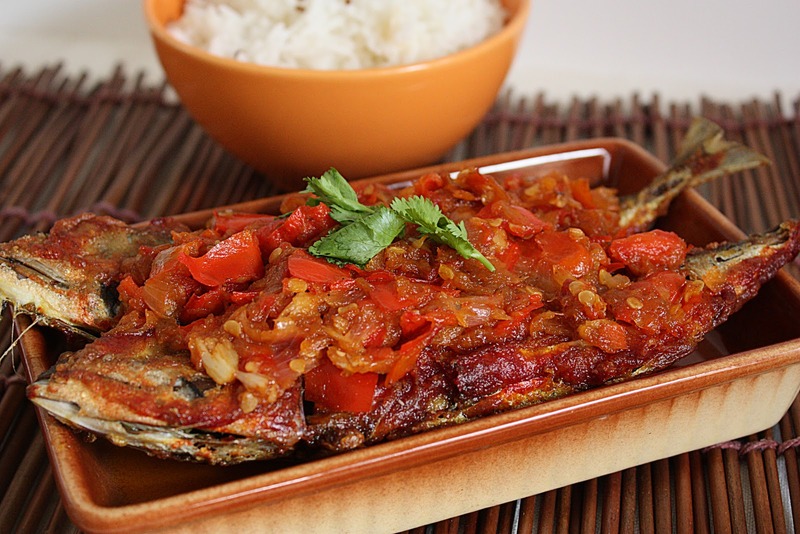 This is a dish originating from Padang in Indonesia. It's hard to tear one's self away from one's ancestors when it comes to food. But I have done so. Because I'm married to someone who's ancestors come from a totally different part of South East Asia. Someone who prefers soupy food as opposed to oily. And someone who had decided a long time ago, for some reason, that there's not much point in eating fiery food when it burns/numbs your tastebuds. So it has been a long time since I've cooked anything remotely Minang, Padang-ish or numbingly fiery. But today when the cat was away I played. 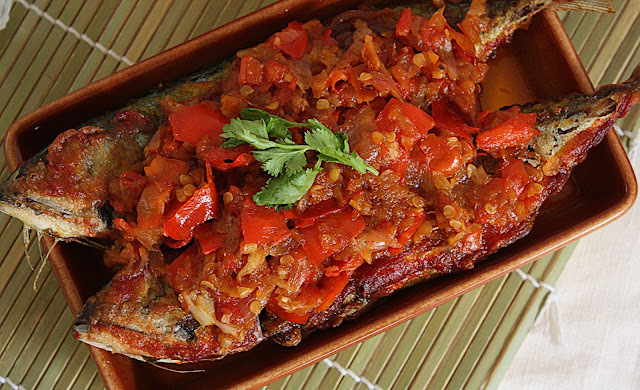 Crispy fried fish slathered in crushed hot chillie peppers. It was hardly numbing because I did not have little bird chillies. Bummer. But there's always another day. Mix all ingredients except the fish. Add water until you get a thick-ish slurry. Heat up a frying pan, add oil. When the oil is hot, dip the fish in the batter and fry until a golden brown and cooked through. Drain on kitchen paper and keep aside. Chop the chillies in chunks leaving seeds in. Chop or slice the onion roughly. Peel garlic. Pound all three ingredients in a pestle and mortar (including bird chillies if using) until it becomes a coarse mush. You should still be able to see coarse pieces of chillies or onions here and there. This paste is not usually pounded till fine. BUT it should be pounded. If it is chopped in a food processor it just doesn't give the same results when cooked. Pour about 3 tablespoons of vegetable oil into a wok or high sided pan. 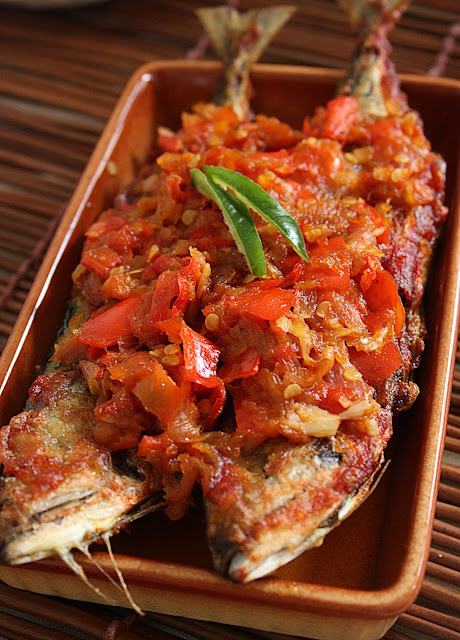 When fairly hot put in the pounded sambal paste. Stir it around and put the flame to medium small. Let the sambal cook through until really limp. About 7-8 minutes. Stir now and then. Add the tamarind juice and cook further for another 5 minutes or until the sambal starts to turn slightly golden at the edges or to caramelize slightly. Stir now and then. Add salt to taste. Add a squeeze of lime juice at the end and stir. Put the pieces of fish into the sambal mixture and turn over gently to slather the sambal all over the fish. Serve hot with steaming white rice. Two of the most harrowing events happened within the past week. Where fear and gratefulness merged. ~ Our cat Sweetie went missing. Thank God, at 2 am 2 nights later, she returned. A little scruffy, damp and hungry but complete and safe. The home was whole and warm again, hearts were lifted, joy was etched on faces, Sweetie tailed closely behind N, later to morph into aloofness and surely promises were made to selves to cherish her more than ever before. ~ I could not sign in to my blogger account. It was an agonizing night, repeated re-setting of passwords, punching of unnecessary keys, head waggings, head aches, furrowing eyebrows, deep breaths, even deeper frustrated sighs and when by a mere miracle I succeeded it was a feeling of release and humbleness that I felt ~ after a long, solitary confinement in that black hole of Blogland that had, for hours, not a crack of light in sight. And then the final sense of complete charge and control over this little area of my life. Woo hoo. Life is back to its normal and comfortable disarray. 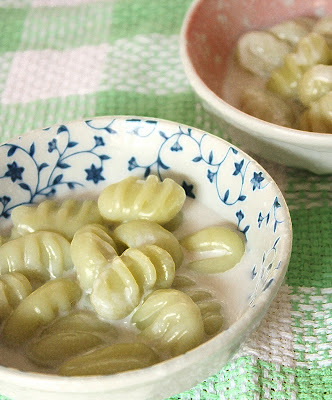 In between those events I had made a mochi gnocchi-shaped pudding. It was quite by accident that I gave them the adorable 'gnocchi' (pronounced n'yo-kee) imprint. A fork happened to be within reach. It was addictive to sculpt the form. The dough was made of glutinous rice flour or mochi mixed with coconut milk, a little sugar and a pinch of salt. A very forgiving dough. This is dough that can never go wrong. 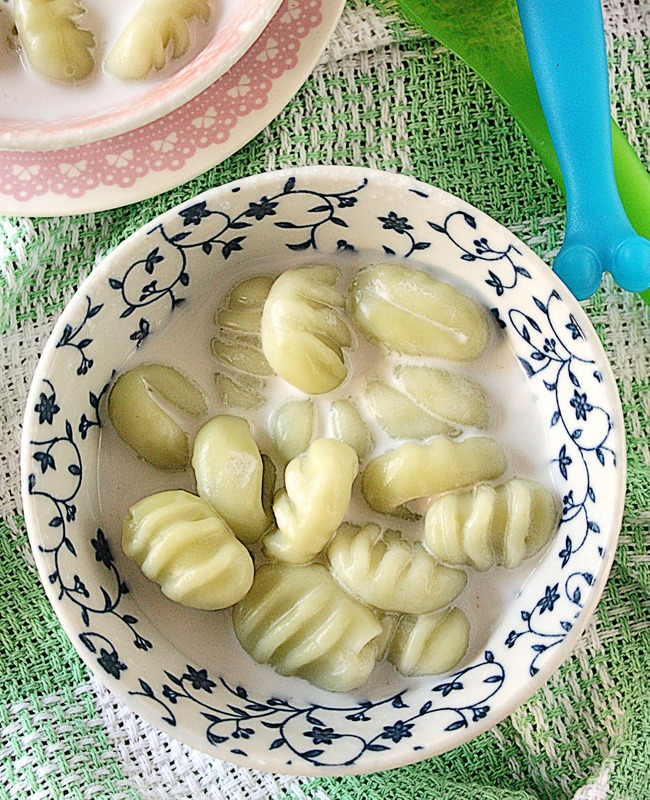 This is also a typical South East Asian dessert the gnocchi shape of which gave the dessert a little twist (literally almost). It would have otherwise been rolled into little balls and left at that. 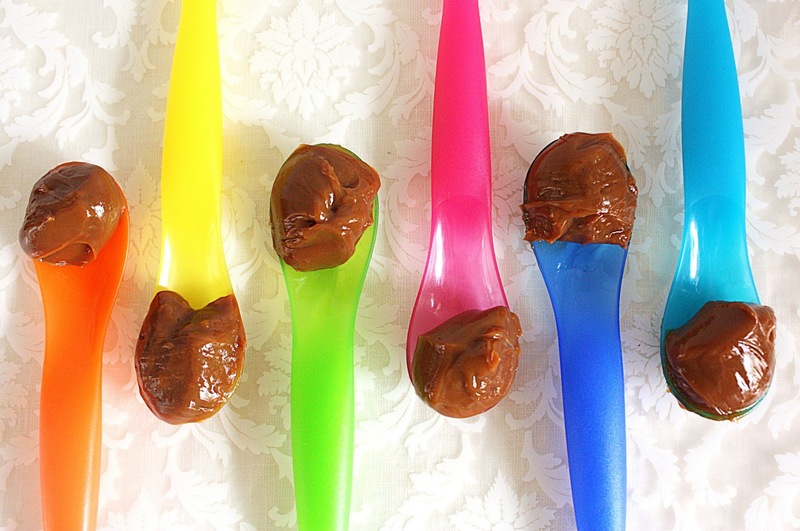 Its satisfyingly chewy, with a caress of sweet, soaked in creamy. A little palm sugar syrup (or maple syrup) dribbled over the top would have added a lovely and tasteful finale. Place the glutinous flour, add sugar and salt and pour in almost half of the coconut milk and 1 tablespoon of the pandan juice in a medium bowl. Mix with your hand and add some more coconut milk and pandan juice as you go along until it becomes a soft, smooth and ball of dough. Add pandan juice until you get the shade of green that pleases you. You may or may not use up all the liquid. The amount is just a guide. Add more if necessary. Roll the dough into little balls about 1 cm in size and then press it against the back of a fork and roll it off. Finish off the rest of the dough. Bring a pot of water to a boil and throw in the mochi gnocchi a batch at a time. 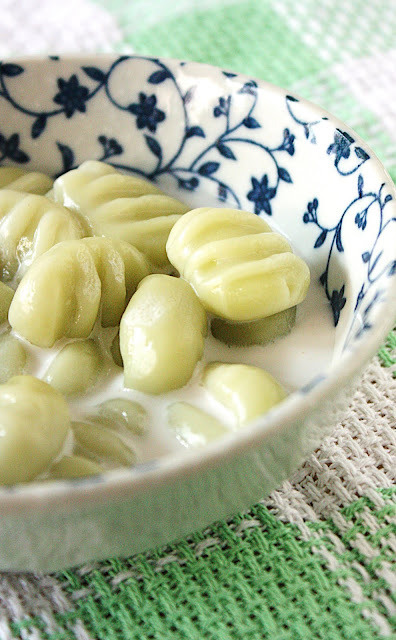 When the mochi gnocchi floats to the top skin them off and do the rest of the dough. Keep aside on a plate. Bring all ingredients into a pot. Place over a small heat and stir constantly until the mixture becomes quite warm and the sugar has dissolved. This must be stirred and not left to boil otherwise the coconut milk will 'break' and separate causing oil to rise to the surface. 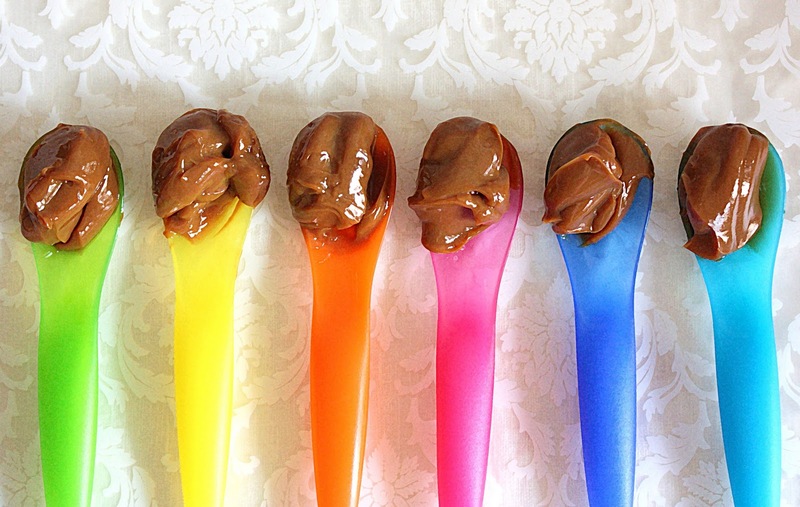 Taste and adjust for sweetness. Place a few or as many mochi gnocchi in a serving bowl and pour the coconut syrup over it. Serve warm or at room temperature or even chilled. I've made a lot of mistakes in my life and this is one of them. 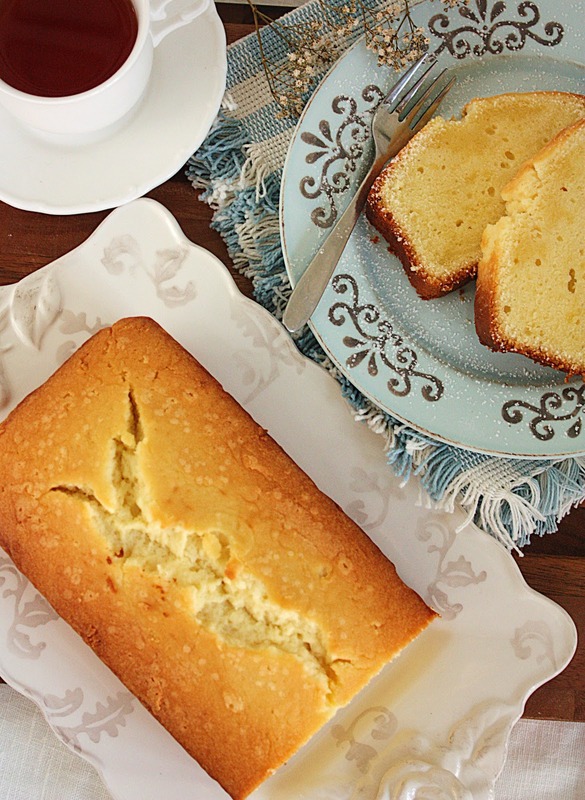 I over beat and over baked this pound cake and Martha Stewart would not have been pleased. Look at that fissure. I do wonder if it was supposed to be like that. Look at those sugar spots. Look at those holes. Yes I'm guilty. But at least I've used up the cream cheese that I've had in my fridge since forever. This recipe used no baking powder. So it was heavy and dense but it had a lightness and moistness to it when sliced. Six eggs must have done that. It cuts very well. Very few at home got excited. But many reviewers raved over this. So it must be me. I'm not too happy with the photographs either so I'm not saying much. Click here for the recipe ~ Yes .....I'm so unexcited and feel so guilty that I don't even have the desire to type out the recipe. When a gurl gets going the going gets gurrrly. 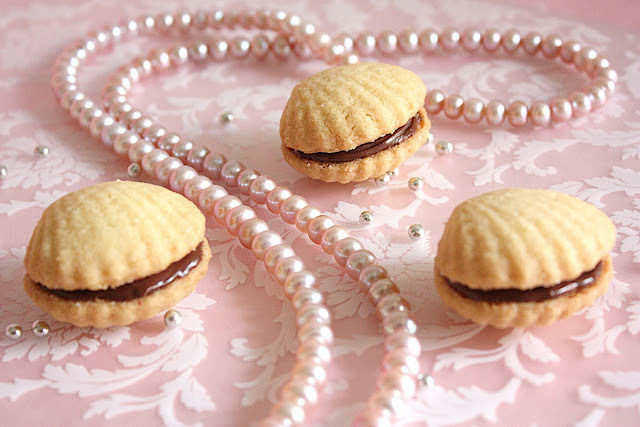 I was in the mood for something purrrrty so I made some 'oysters', filled it with nutella, inserted a silver dragee inside, pulled out my string of pearls, did everything up, around it, in pink and snapped a picture. It looked purrrty guurrrrly. When a gurl gets going the going gets purrrrty gurrrrly. Shells are so pretty. So when I came across a cookie mould that would yield pretty dainty shell shaped cookies I did not overwork my brain. I bought it and these are what came out of it. Shortbread shells with a drop of silver in each purrrty purse. Precious! 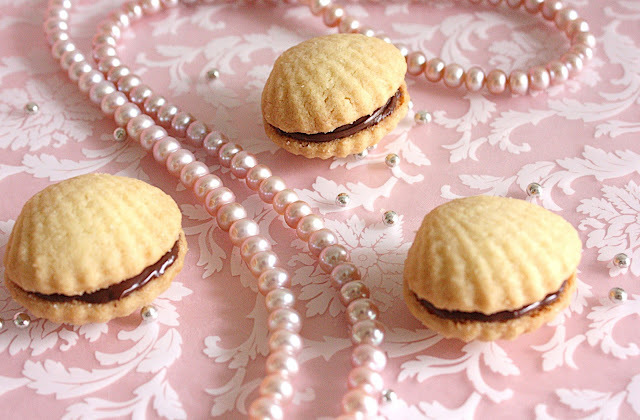 They are made from Mary Berry's shortbread recipe. 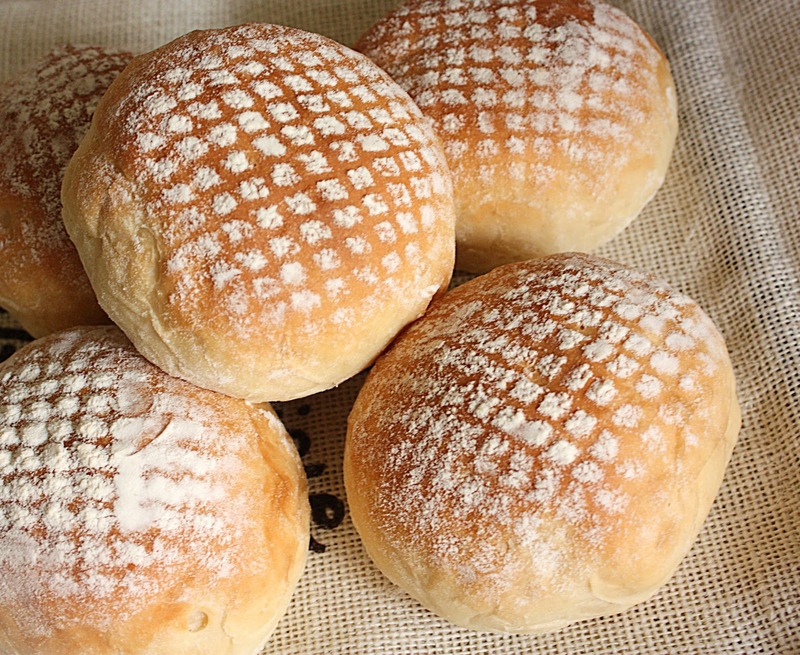 They are quite delicious although I do think it could do with an ounce more of butter. 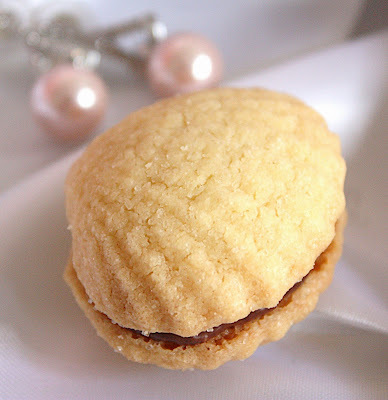 As with a typical shortbread recipe this had a little rice flour in it which provided those teeny bits of crunch as you bite into it. And it held its shape quite well as it baked. 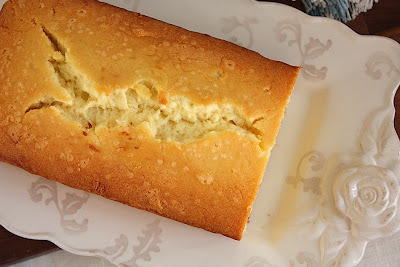 Unless you're moulding them into a fancy shape like I did an ounce more of butter could only make it better ~ that much more buttery with a more melt-in-the-mouth sensation as it hits your tongue. Now to the cookie mould. 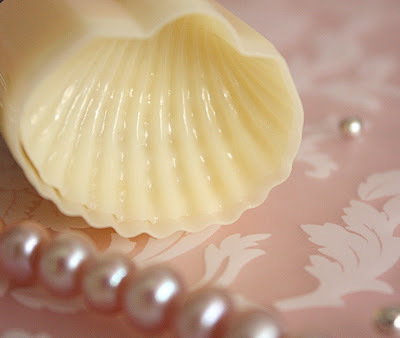 This little charming mould stamped out perfect shells. It is one of the different kinds of moulds that I had made the pineapple jam tarts with. I now have a precious collection of all the different shapes available. These cookie presses are very commonly found here in Malaysia and I think in Singapore too. As the years go by more and more patterns are added. I think these are one of the newer shapes available. 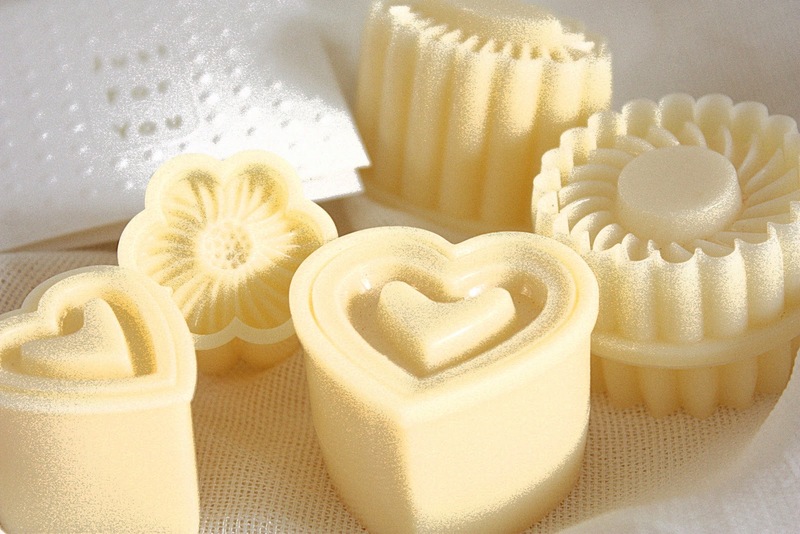 They would make lovely gifts for passionate bakers. They're very inexpensive too. Isn't it sweet? Sift flour and rice flour into a medium bowl. Rub in butter until it resembles fine breadcrumbs. Pour in the sugar and stir. Then bring the mixture together kneading a little until it forms a soft ball. Roll out between 2 sheets of baking paper and cut out with a cookie mould, or cut into fingers (and prick surface with a fork to form little holes) or form into large circle (bake whole and cut into wedges 5 minutes after it comes out of the oven). 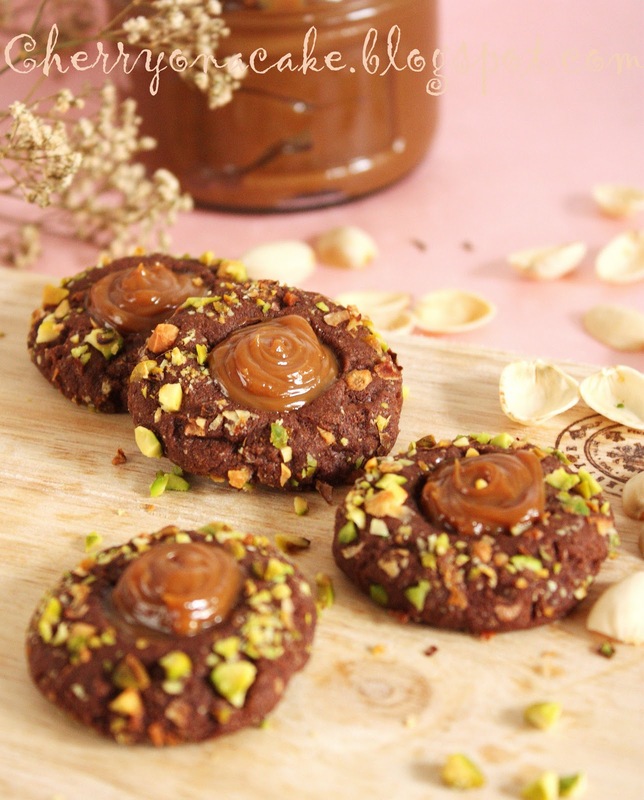 Place on a baking tray and bake for about 20 to 30 minutes depending on the design and size of the biscuits. Allow to cool before storing. Or.......I sandwiched mine with Nutella. I would have much preferred a rich smooth chocolate ganache instead. But I didn't have that. 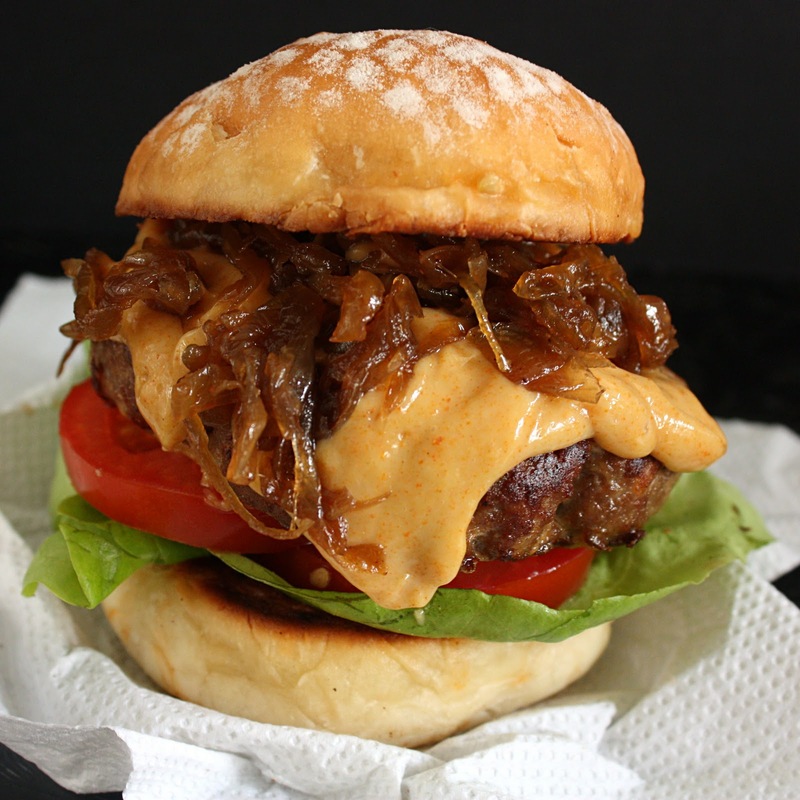 I made and ate such a beefy Jamie Oliver burger that I was cleaning the house the whole afternoon. Upstairs and downstairs and in my master's chamber. I dusted, I swept, I mopped and I sweat. I must remember never to have Jamie's burger for lunch ever again. It just gave me too much enthusiasm, excitement and passion ~ for all the wrong things. I need rest. Rest is what I need. Rest is best. Being petite I struggled to eat this big fat thick dolloped-with-curry-mayonnaise-and-piled-high-with-caramelized-onions burger. Heck, I even struggled to clamp it between my two little paws. I had mayonnaise and crumbs smeared within a 2 inch perimeter of my mouth and yet I missed biting down on the beef patty. I must remember that I am not a troll. I made these burger buns yesterday and 'painted' them with flour. I thought they looked pretty neat. I cut out a small piece of plastic grid that my super duper DIY husband has around the house amoungst a host of other puzzling things, placed it closely over the risen bun dough and sifted flecks of flour over them. Even after baking and throwing them into a plastic bag the pattern stayed...I was Jamie Oliverishly thrilled and excited that I went around cutely reminding everyone that Bob's their uncle. 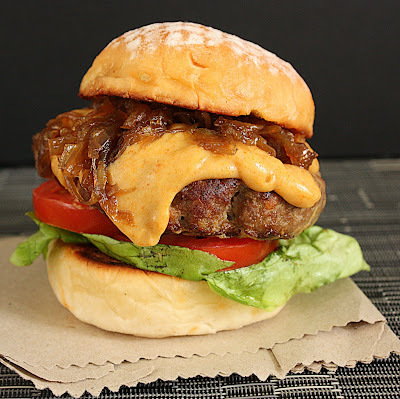 Jamie Oliver's burger recipe was very good. I cannot comprehend why anyone would ever want to eat a MacDonald's when it is so easy and healthy AND TASTY to make your own. I used very lean meat, chopped it up in my food processor to the texture that pleased me, mixed them up with the other ingredients and had fun compacting them into a lid that was slightly larger then the buns. I saw this tip just a couple of days ago but unfortunately I cannot remember where. If it's you please do let me know so that I can link. It was a brilliant idea. Pure genius. Preheat the oven to 230 C. Mix and scrunch all the ingredients together. Divide into 4 (I made 7 and they were big, about 150 gm each). Pat into a lid or just use your hands to shape. Place in the oven and roast for 25 minutes if very thick like Jamie's or less if not too fat and thick. 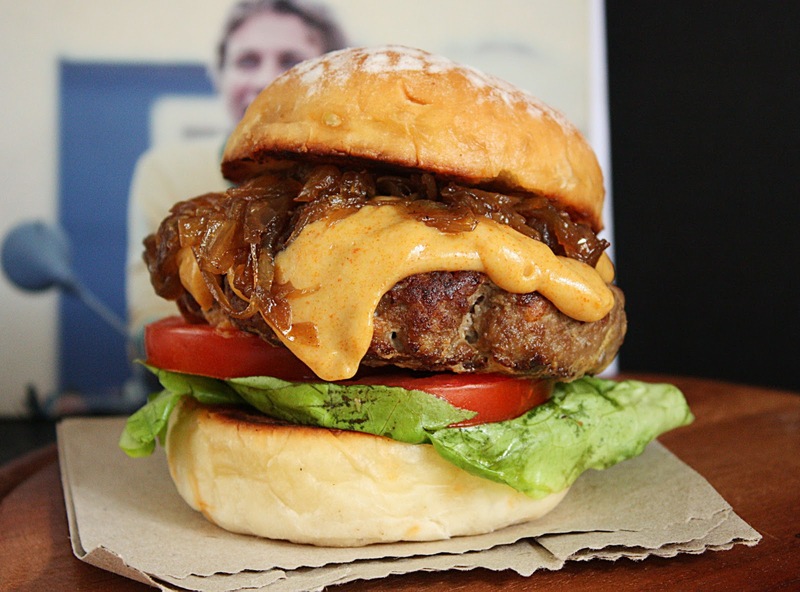 Jamie Oliver's timing will leave the burger slightly pink in the centre and the outside nice and crispy. Build a burger with what you have. Mix them all well. Slap on burger. SiliconeMoulds.com - See What's Cooking ! All photographs on this blog and the texts written are mine unless otherwise stated. Please ask permission, give me the credit or link back should you wish to copy or publish elsewhere.